The straightforward demonstrations you see at Macworld are sometimes the best. 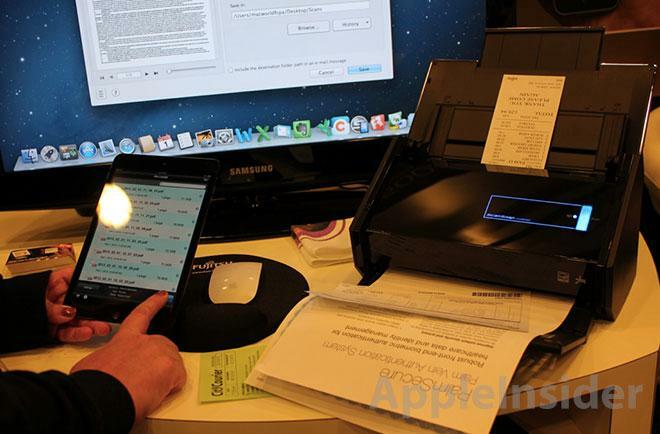 No long pitch or hard sale, just a quick demo of a scanner zipping through a few pages and automatically transmitting documents to an iPad. The Fujitsu rep had an assortment of documents waiting in the ScanSnap' iX500 tray ($450, Amazon); . Invoices, receipts, deeds, white papers on palm vein biometric verification: you know, all those papers you've likely been meaning to digitize but kept putting off. It was over in under a minute, and much of that was spent waiting for the network. 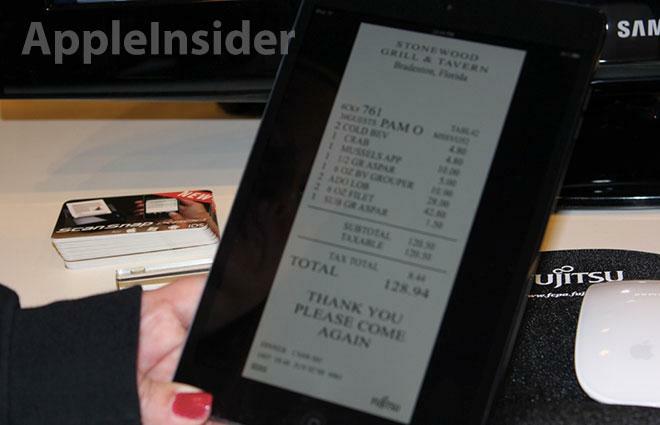 The attendant pressed a few buttons and the scanner churned through its load, digital versions of the receipts and the biometrics paper popping up on her iPad mini quickly thereafter. She said the iX500 can scan up to 25 double-sided pages per minute at a 300-dots-per-inch color resolution. 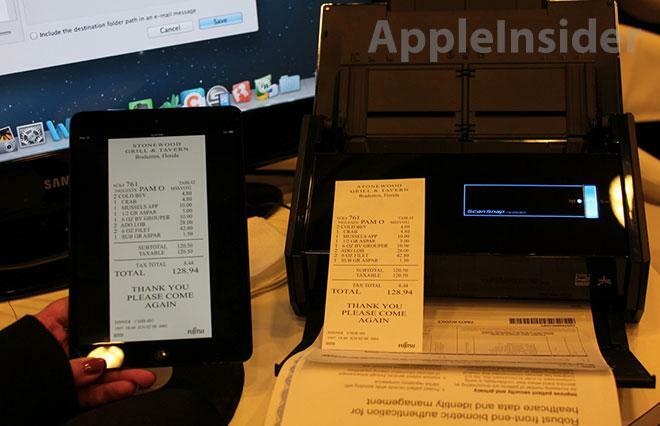 It outputs in JPG, searchable PDF, editable Word or Excel files, or straight to a mobile device. So long as it's connected to a Wi-Fi network, the iX500 can transmit documents directly to an iOS or Android device without the need for an intermediary PC, so long as that device has Fujitsu's app. "It's great," she said, shuffling the papers to get ready for the next demo, "I barely know how to use a computer, and I've got one of these on my desk, it's so easy." It looked easy. A simple, well-realized device and app. It's won a Best of Show award for Macworld/iWorld 2013. The demo was over. I moved on, thinking I'd probably spent longer snapping pictures than the rep had running through the test drive.